For all aspiring women taking their first step to entrepreneurship. This is a call for all of you out there who know that you have something to offer to this world, who believe that you have the right to have total control of your life, and who know that you can build the life and business you want on your own terms. We are on a mission to help you lovely women to start up a business and thrive at doing what you love. 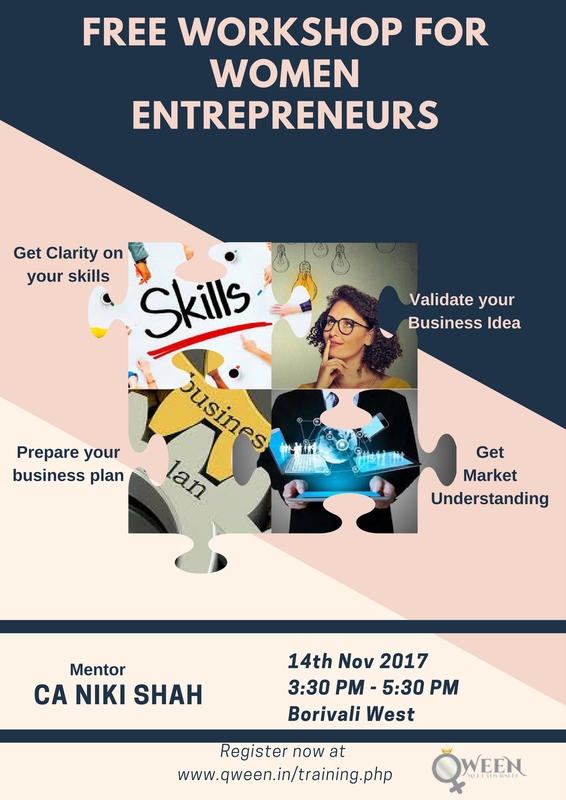 With QWEEN Mentor CA Niki Shah, embark on the exciting journey of starting your own venture and learn A-Z of business in this FREE Workshop! !